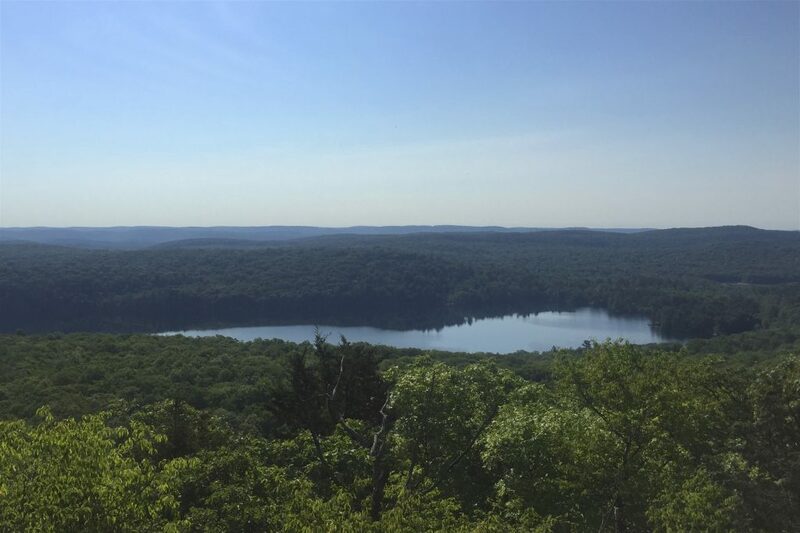 I woke up reasonably early and planned a fairly long hike to take at Sterling Forest State Park. I started at the trailhead for the Sterling Ridge Trail on Route 17A. The trail was birdy with many expected birds; the only ‘surprise’ came when I got to a power cut and I could first hear and then see a couple of Prairie Warblers. After about two miles, I left the Sterling Ridge Trail (I would hook up with it again later), and I took the Bare Rock Trail for a short time before heading south on the West Valley Trail. I chose the West Valley Trail because it ran through a swampy area that runs along Jennings Creek. 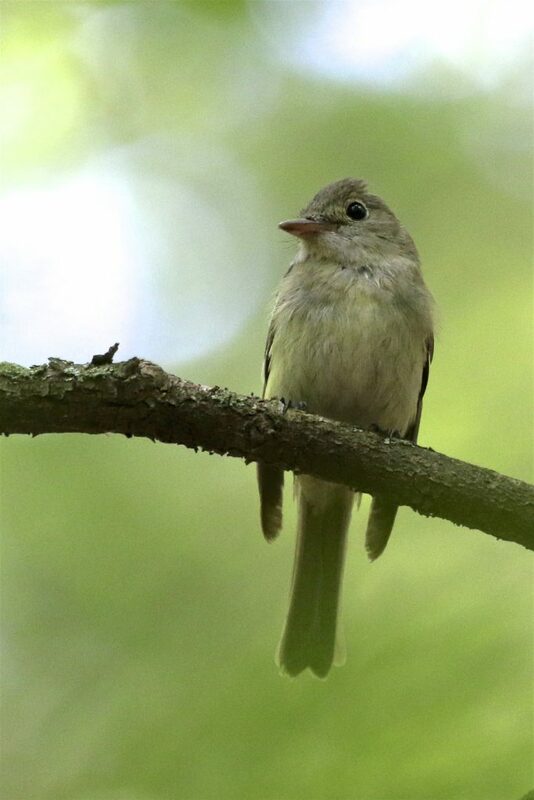 I was hoping this change of habitat would add some species to my list and it certainly did – I got my best bird of the day there, a calling ACADIAN FLYCATCHER just a couple hundred yards from the swamp. At the swamp I added more birds: Eastern Phoebes, Common Grackles, Tree Swallows, Red-winged Blackbirds, and a beautiful family of Wood Ducks. Just beyond the swamp, I jumped onto the Furnace Loop, which would eventually put me back onto the Sterling Ridge Trail. On the Furnace Loop I did well, getting good looks at several Hooded Warblers and a Worm-eating Warbler. Hooded Warblers remain my current photo-nemesis bird, and the Worm-eating made such a brief appearance that I didn’t have a chance. 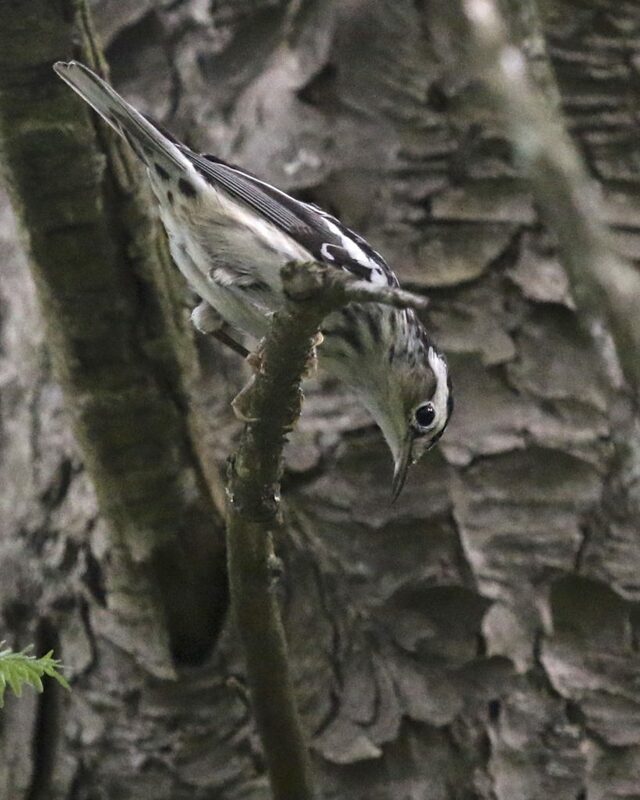 In the same area, I did manage to get a usable photo of a Black-and-white Warbler, so that was a decent consolation. Shortly after I joined back up with the Sterling Ridge Trail, there was a fairly steep ascent which I scrambled up. Thats when I realized that the temperatures were rising and I was running out of water. AND that I was whooped. 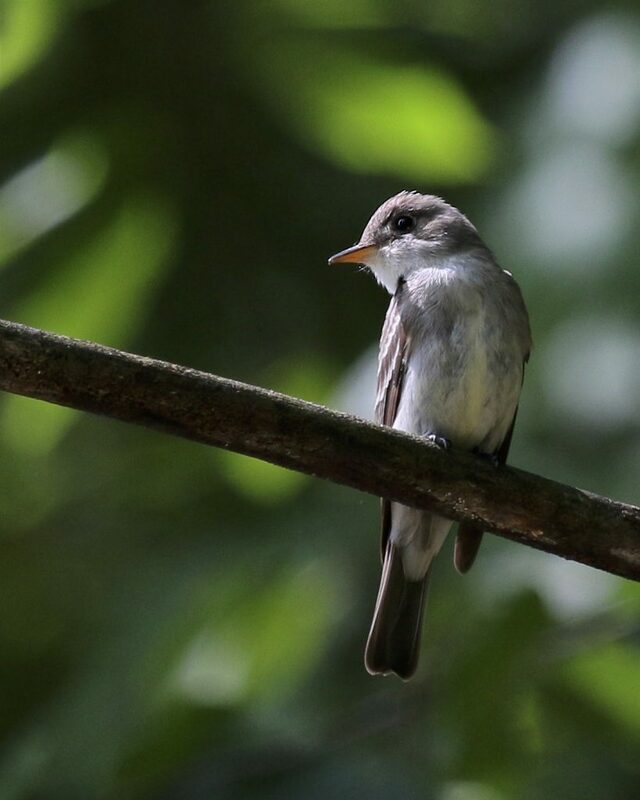 As I walked the portion of the Sterling Ridge Trail that I hadn’t previously been on, I was still actively birding even though in the heat the birds were more quiet than they had been all morning. Once I got back to where I had left the trail several hours earlier, I was in full zombie-hiker mode; one foot in front of the other, just determined to get back to my car. I drank the last of my water when I had maybe a mile left, fortunately I had more in the car which I guzzled upon arrival. It was nice long hike (even if I was a little under prepared – bring more water, take rests!). I estimate that I hike around 8 miles or so, and it was fairly productive as I had 38 species for the morning. 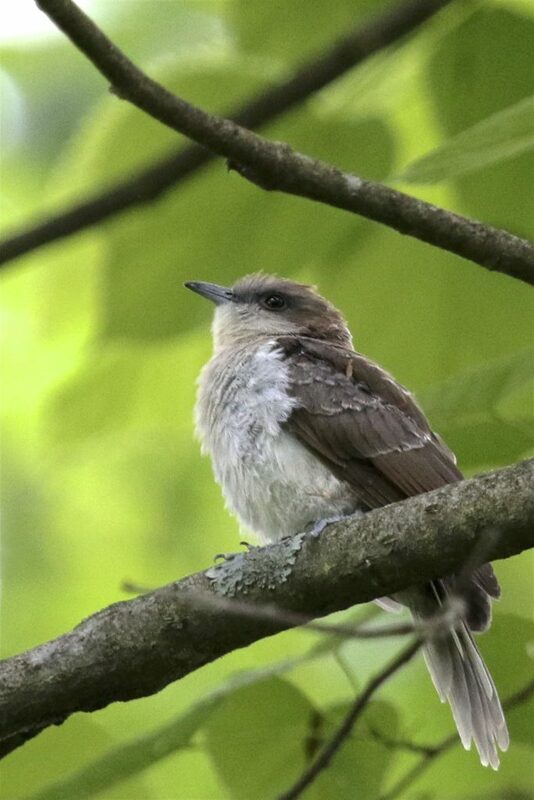 What a delight and a privilege to see this young Black-billed Cuckoo this morning… if you take a walk in the woods, you never know what you’re going to see. 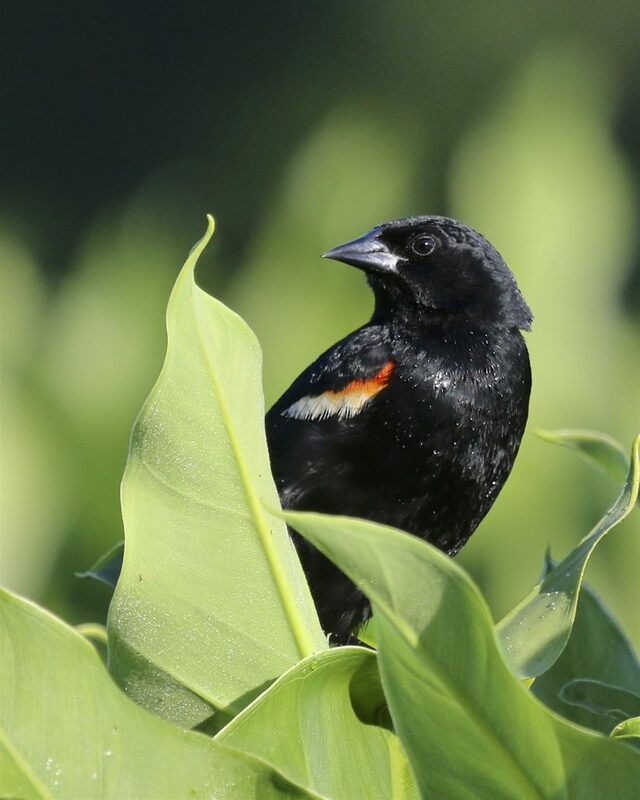 There is no better pastime than birding to de-stress and bring some joy to your heart after a long work week. Today after work I had a really great afternoon and evening of birding. 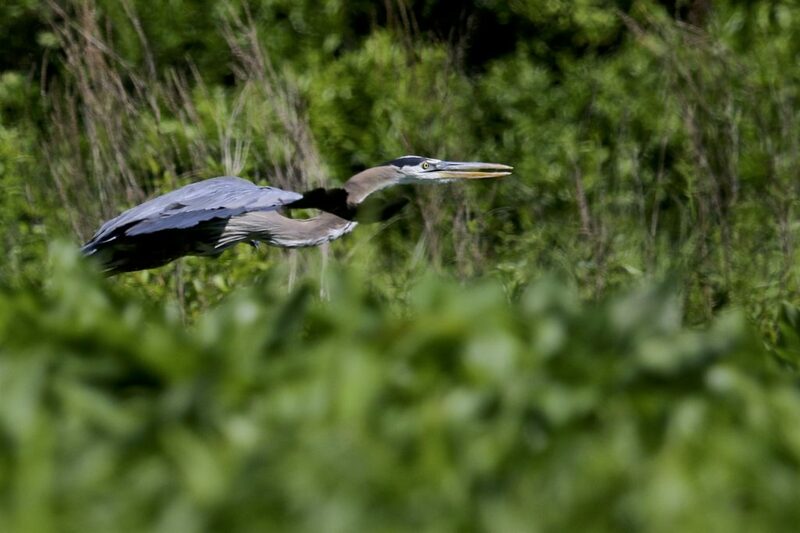 I walked the Mongaup River Trail for the first time, and from beginning to end, the trail was very birdy, with many birds not only being heard, but seen as well. 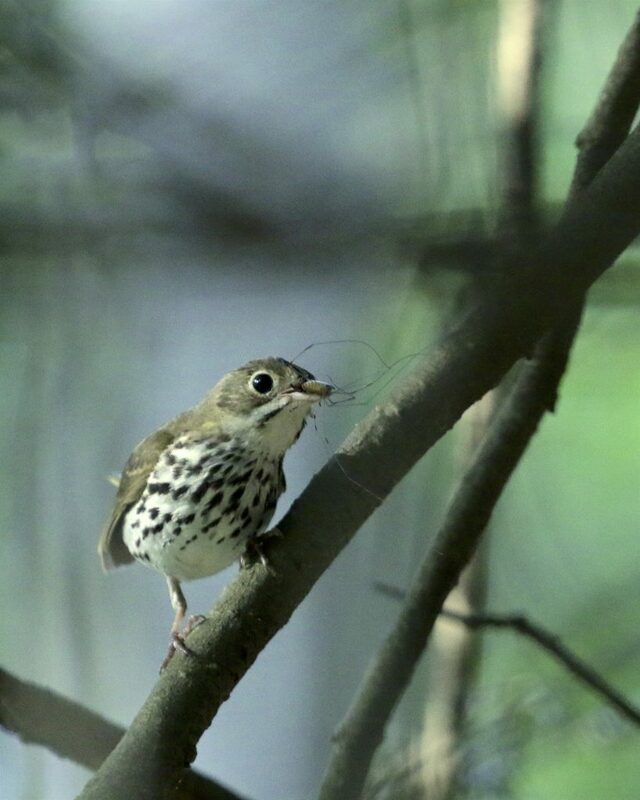 My best bird of the day was a Louisiana Thrush with a mouth full of bugs. I watched as the bird took the bugs to its nest and fed some hungry young ones. I ended up seeing 5 (!) 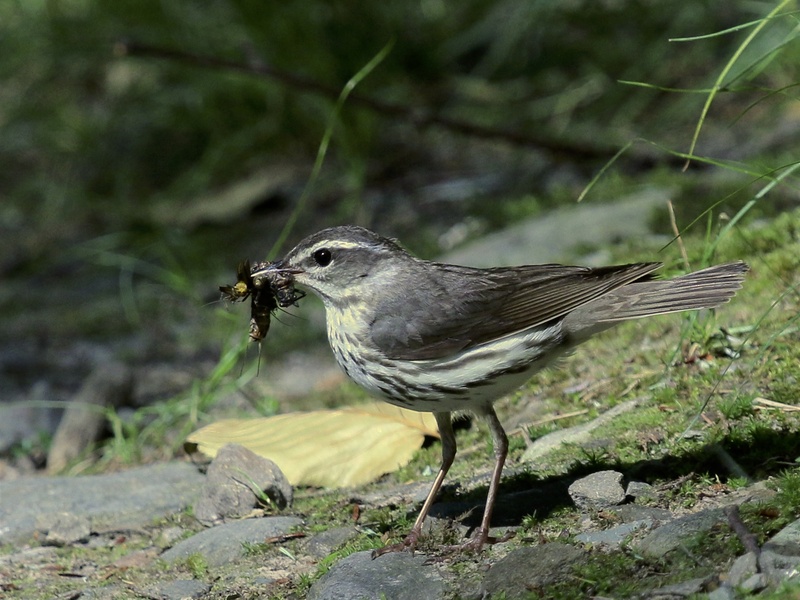 Louisiana Waterthrush during my walk, which was really amazing. Three of them were actively feeding over the river. 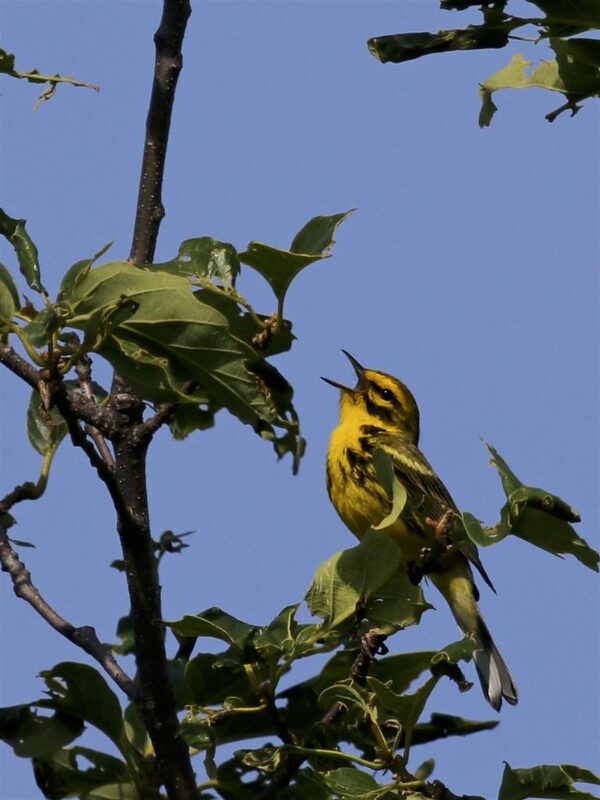 Another highlight was getting great looks at three Magnolia Warblers, a bird that I was really not expecting to see! I heard but did not get looks at a Blackburnian Warbler, a couple Black-and-White Warblers, and a couple distant Black-throated Green Warblers (another nice surprise). I was hoping I would see some mergansers and I did; four Common Mergansers on a rock in the river. Oh, and I had a couple of adult Bald Eagles too! It was a great afternoon of birding and I will going back again really soon. Huge thanks once again to Rob Stone, who gave me the heads up on this spot. I have to thank Linda Scrima for motivating me this afternoon. I had not come up with a birding plan for the afternoon, and I was feeling a bit uninspired. 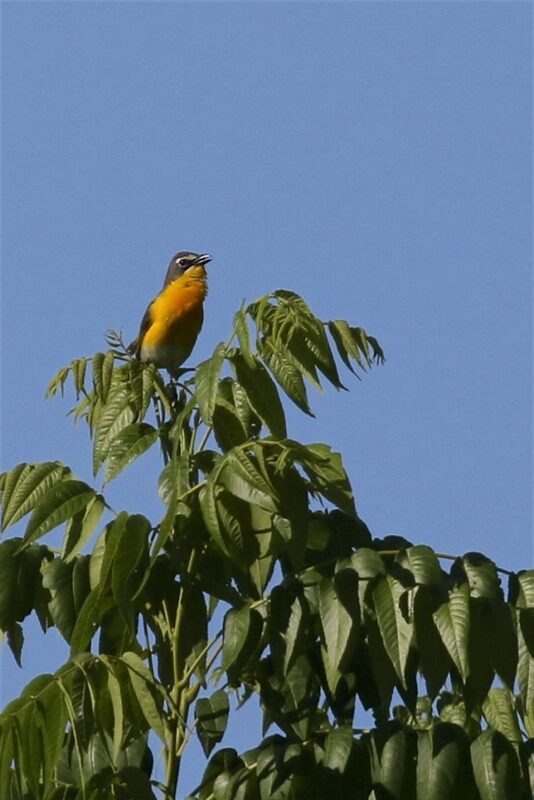 Earlier in the day, Linda had gone for the Yellow-breasted Chats that had been reported at the Appalachian Trail off the Canal Road bike path in Vernon Township, New Jersey. At that time, she texted a recording of one of the chats calling, but I was unable to listen to it while I was working. Once I was out for the afternoon, I listened to it and I immediately knew I had to run for the birds; it really got me excited to see a chat! When I first arrived, I could hear at least one bird calling, but distant. I stood in the shade and waited it out; the calls came closer and eventually I located the bird as it took a nice high perch and called repeatedly. The bird was a little bit distant, but in perfect light, so I was able to get decent shots (with a very heavy crop). I stayed for a little over an hour and I was only sure of having one chat. Interestingly, it is seven days shy of a year since I had a pair of chats at this same location last summer. I broke out the kayak for the first time of the year this morning. I put in at the Bashakill’s Deli Fields boat launch just before 7:00 am and headed northeast, thus starting what ended up being a six hour paddle. I was hoping for some decent photographs, and I had three target birds for the morning: Pied-billed Grebe, Common Gallinule, and Least Bittern. 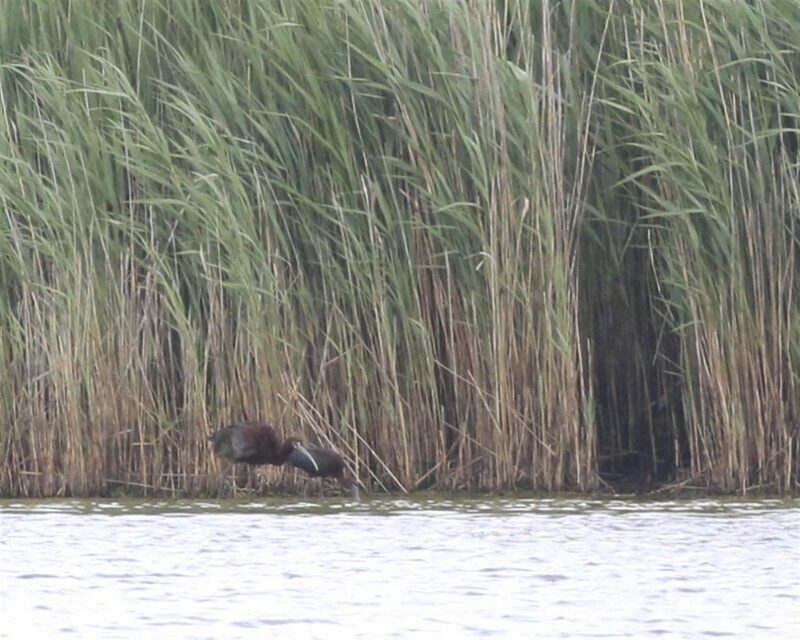 Actually, the Least Bittern was my main goal, and I would have been happy just to catch a glimpse since I have never even seen this bird yet. 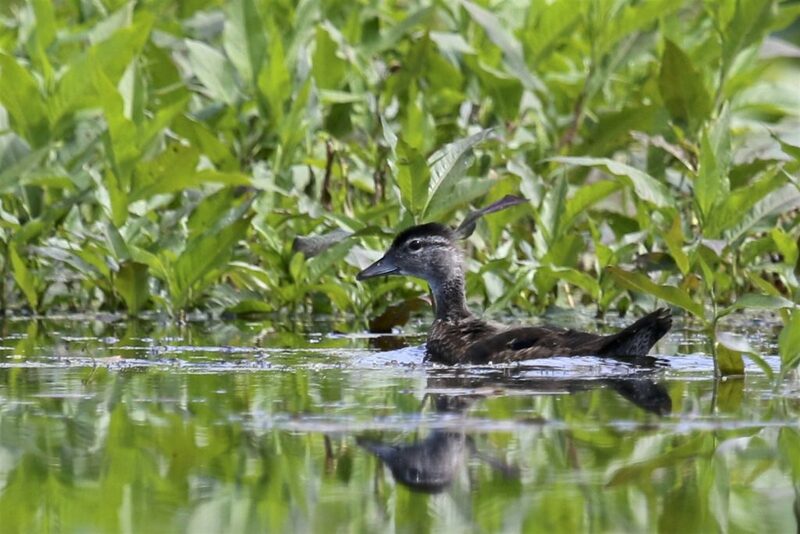 Pied-billed Grebes, unfortunately were a no-show. Common Gallinules were vocal and I eventually caught a glimpse of one bird, but I was unable to get any photos. I had an interesting brush with a Least Bittern; early on in my paddle, I heard one calling. I followed the sound and eventually pinpointed where it was coming from. 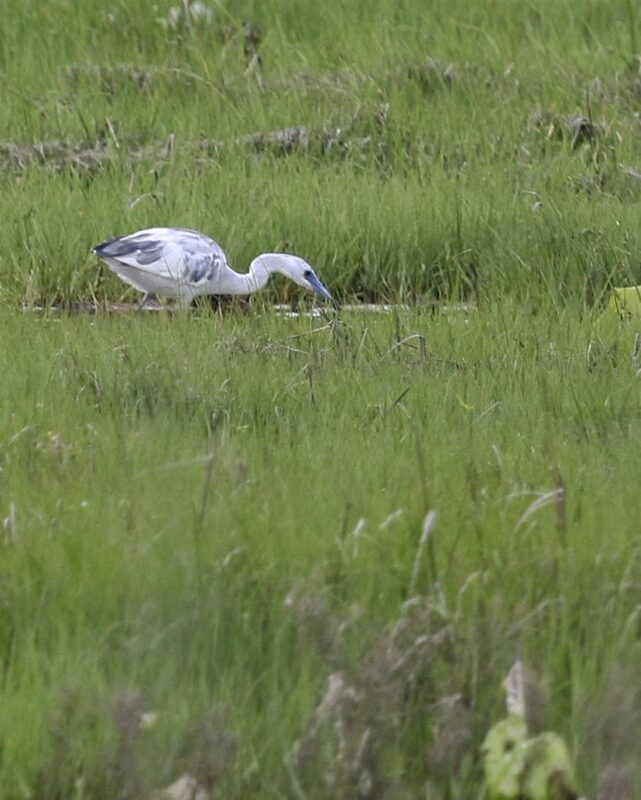 Unfortunately, the bird was in very thick vegetation with almost no visibility. I tried to see if I could approach it from the other side, but again the vegetation was too dense. It was both exciting and frustrating; the bird was so close but as I tried to wait it out, I started to realize how unlikely it would be for the bird to come out into the channel. After a while the bird went quiet and I decided to continue with my paddle (I eventually heard a second Least Bittern, but this one was distant and deep into the vegetation). I ended up paddling all the way to Haven Road; I had many birds along the way but most of them were heard and not seen. I passed underneath the Bald Eagles’ nest and heard the young calling. Further on, I saw an adult Osprey perched just off the nest. At one point, I watched a Cooper’s Hawk fly clear across the Bash with Red-winged Blackbirds on its tail. 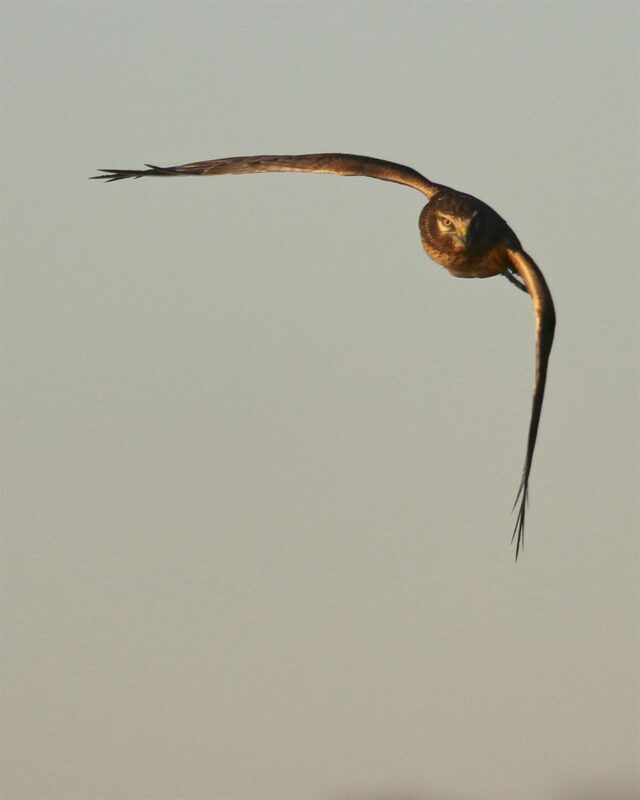 The hawk never flew more than a foot above the vegetation as it bobbed and weaved trying to ditch the blackbirds. At Haven Road I paddled to the east side of the Bash, hoping to hear the Hooded Warbler that has been in that area, which I did, and then, to my surprise I also heard a Barred Owl calling in the distance. And then right after that, I had a pair of Red-shouldered hawks flying above the trees. I turned around and meandered my way back to the Deli Fields boat launch. I figure that I probably paddled nearly 10 miles in 6 hours and I was sore, mostly in my back. I ended up with 54 species for the day, which didn’t seem too bad to me. ~I haven’t taken many Great Blue Heron photos yet this year, I love shoot them at the Bashakill with all the heavy vegetation. 6/18/16. 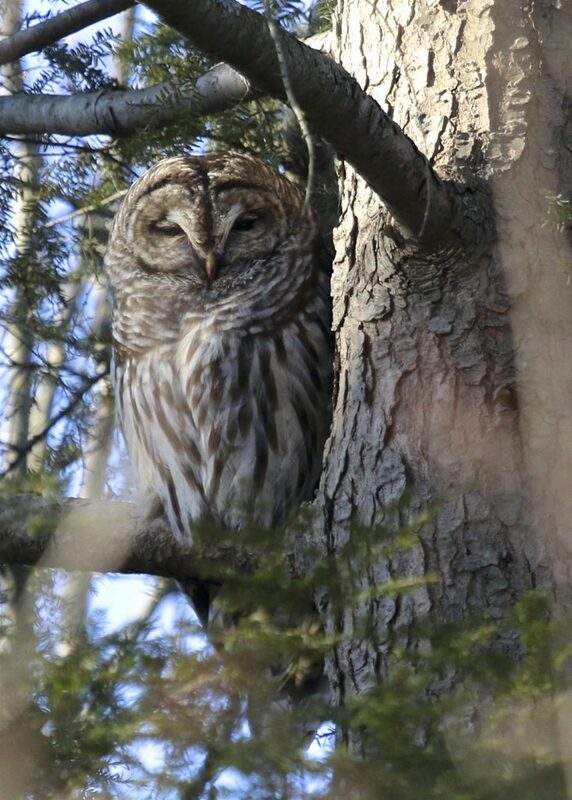 This past winter I volunteered to participate in the New York State Department of Environmental Conservation’s Winter Raptor Survey, which was an interesting and fulfilling experience. 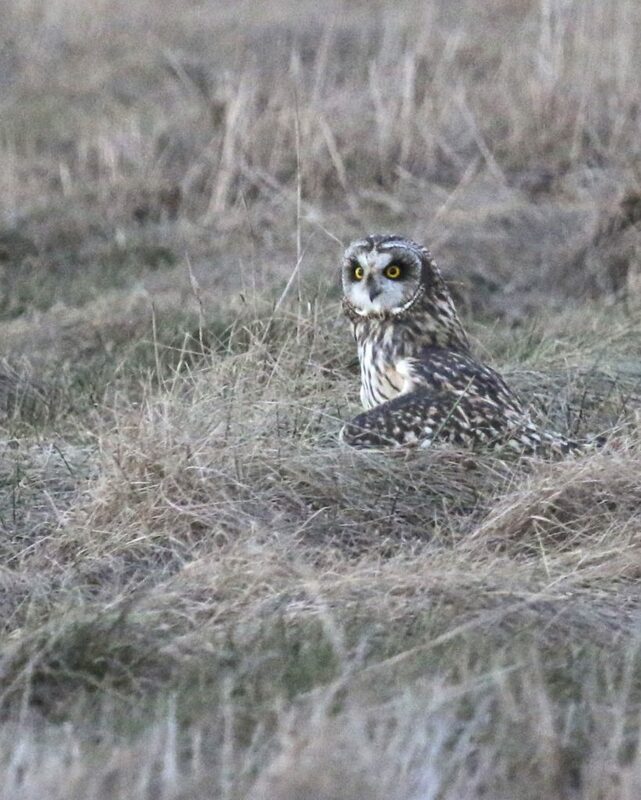 The survey, which was well run by Malcolm Grant and Emily Underwood of the DEC, primarily focused on two species—the state endangered Short-eared Owl and the state threatened Northern Harrier. 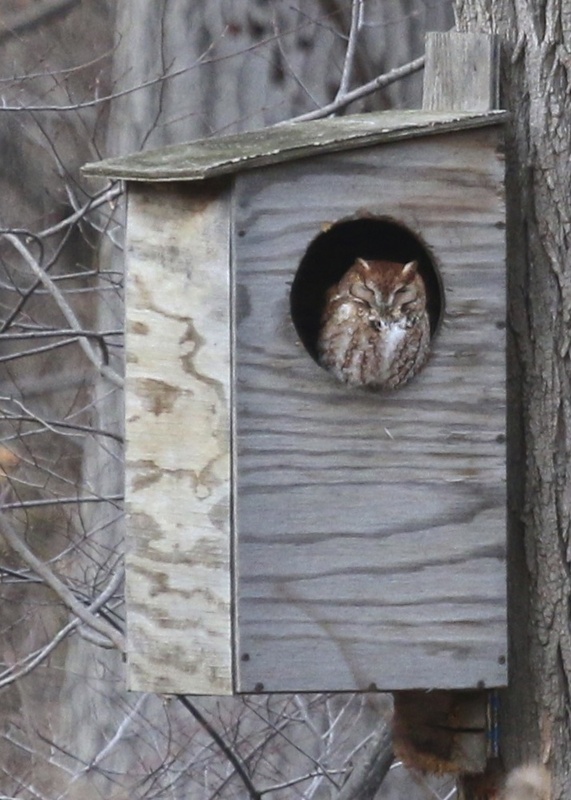 Surveys were conducted in the Black Dirt Region and the Shawangunk Grasslands National Wildlife Refuge Area every other week from early December until mid April (all of the surveys I participated in were in the Black Dirt Region). Locations were assigned to volunteers; surveys started one half hour before sunset and concluded one half hour after sunset. All raptor activity observed was recorded on the forms and marked on a map which had been provided. It was fun and challenging to try and keep track of all the raptors in a given location, especially in the final minutes of the survey when temperatures would dive and the light was really low. 1. 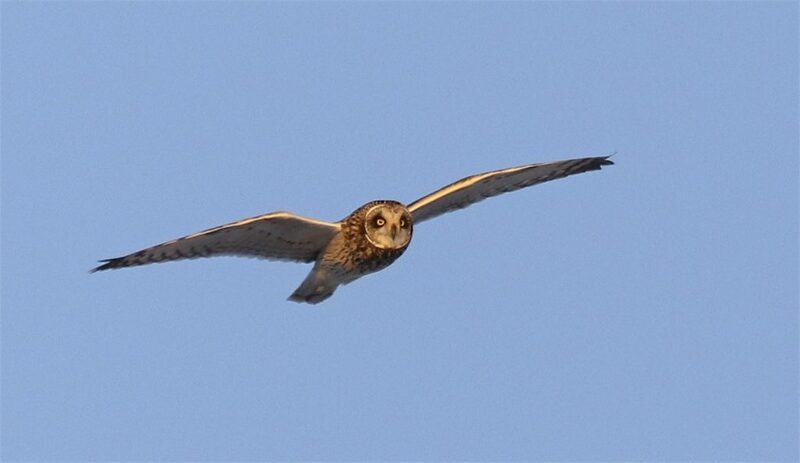 To develop and implement an effective methodology for surveying and documenting wintering raptors with a focus on Short-eared Owls and Northern Harriers, to identify site occupancy and/or population changes over the long term to provide a complete picture of the status of these state listed species into the future. So, a part of this was just figuring out the methods, i.e. stationary survey half hour before to half hour after sunset, etc). These methods were finalized a few years ago. 2. To recruit volunteers to continue this effort in order to monitor the wintering population of raptors in NYS. 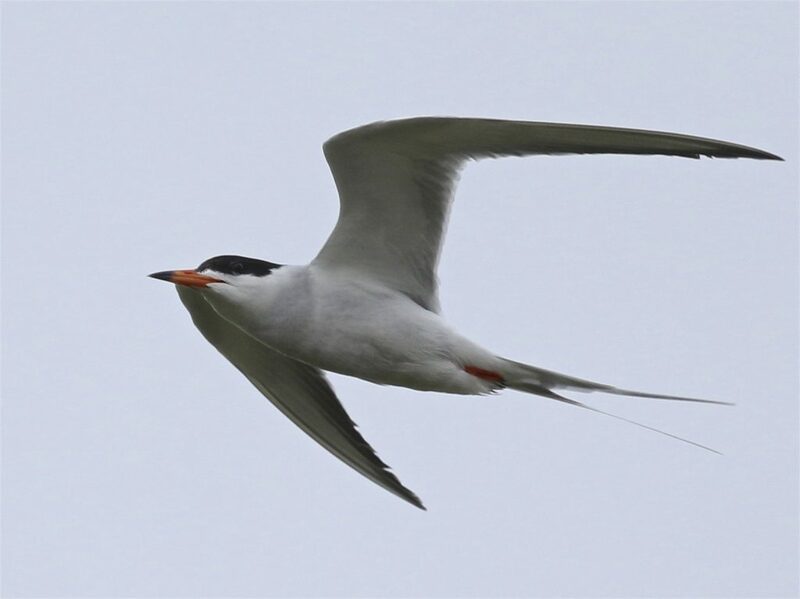 -Identify the extent of habitat used at each site. 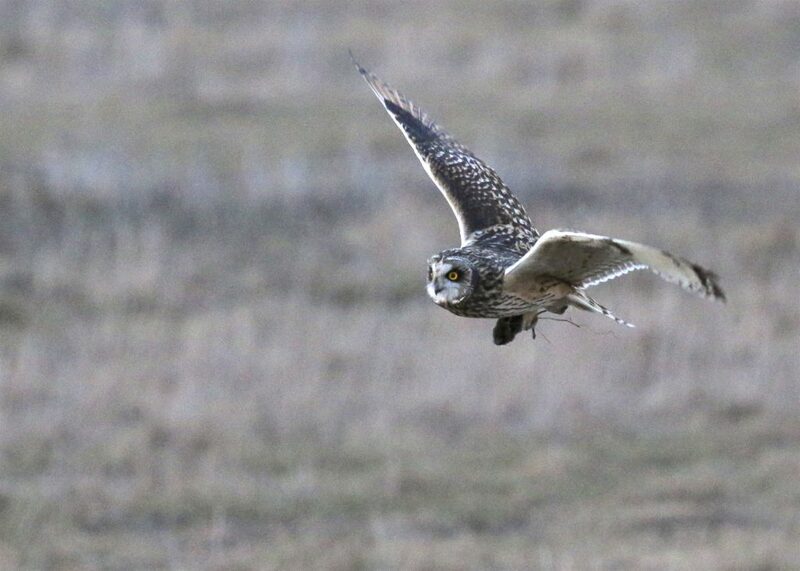 -Characterize the type of habitat preferred by Short-eared owls in New York for both foraging and roosting. 4. 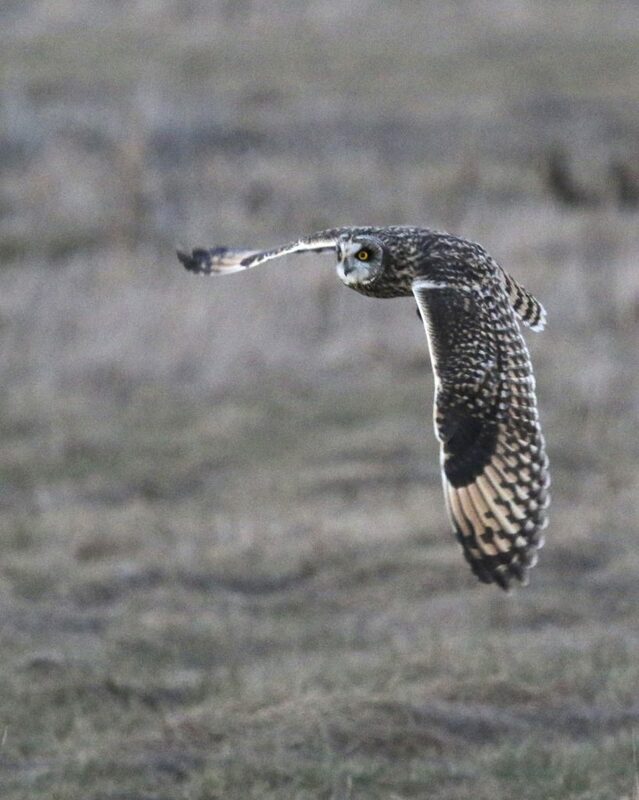 To document areas that are important for wintering raptors (mainly Short-eared Owls and Northern Harriers) and produce spatially explicit maps of observations and critical habitat use. These areas are added to the New York Natural Heritage Database. This database is used to screen development and construction projects so that impacts to endangered and threatened species can be avoided or minimized. It’s really a great feeling to know that just doing something that I love this much can have a positive effect, and that it is time well spent which will ultimately benefit the birds. …make lemonade. An embroidered version of this saying hung above the front door in our house growing up. I never really understood it as a kid, probably because at that age, I really loved lemons and would eat them straight. I can remember going to restaurants as a kid and eating the lemons from everyone’s drinks. A lot has changed since then – I don’t eat lemons anymore, and I understand the saying. 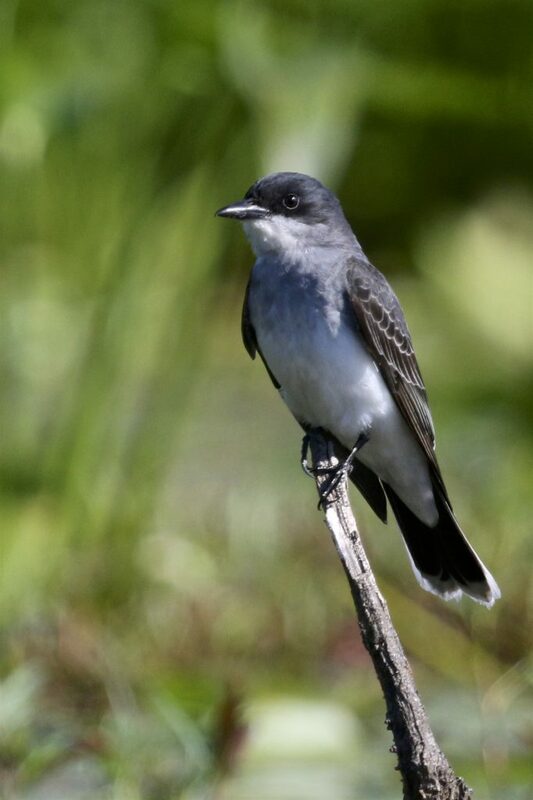 John Haas and I were scheduled to attend an overnight pelagic birding trip out of Brooklyn. We were supposed to set sail at 8:00 pm on Sunday, but the incoming bad weather was putting the trip in jeopardy. John suggested that we leave early in the day, this way we would beat the southbound traffic, and we could also do some birding on Long Island before the trip. Well, as you can guess, the trip was ultimately cancelled, but I’m glad we went down early, because at least we got in some quality birding before having to eventually head back north. We made three stops and did pretty well at all of them. 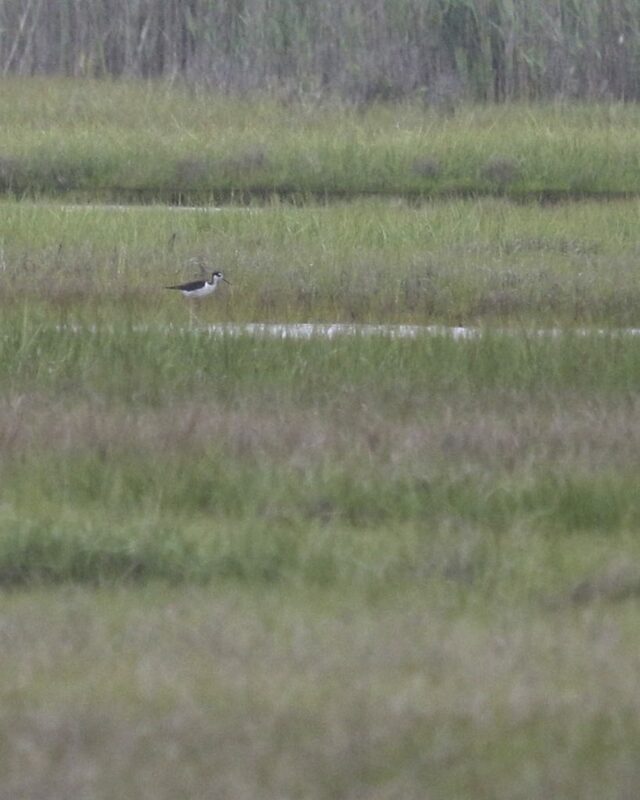 Our first stop was at Smith Point County Marina where we got very lucky; we arrived and there was already another birder on our target bird, a previously reported BLACK-NECKED STILT. The bird was distant but still we had great looks in our scopes and took some documentary photos. Our second stop was Gardiner County Park, where we saw both Seaside and Saltmarsh Sparrows. 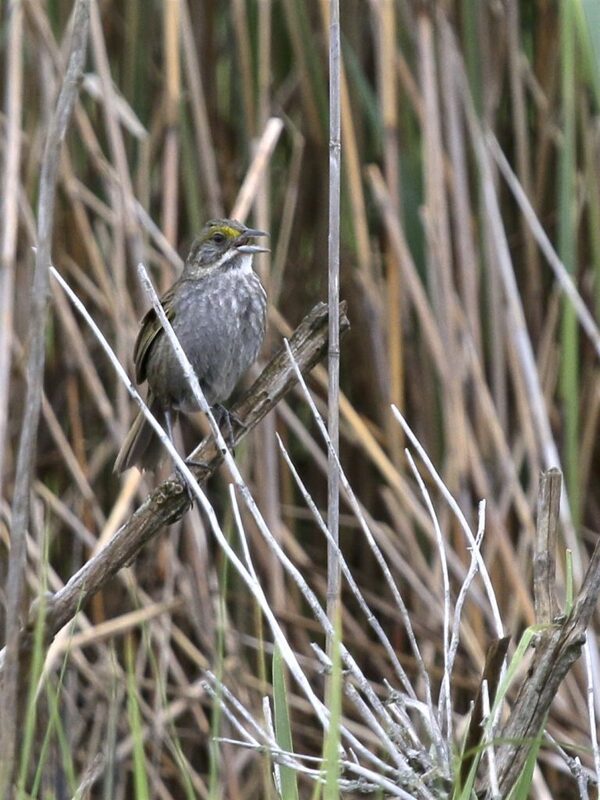 The Saltmarsh Sparrow was a life bird for me, which was exciting, but, of course they wouldn’t cooperate for photos. Meanwhile, I did get some decent shots of one of the Seaside Sparrows. Our final stop was at Jamaica Bay Wildlife Refuge, where we went to chase a White-face Ibis that had been reported earlier in the day. When we arrived at the southeast section of the East Pond the bird had just flown, but we waited and in due time, the bird came back, flying in with a group of approximately 35 Glossy Ibis. We also walked out to the West Pond where our best birds were a couple of Little Blue Herons on the ocean side of the trail. It was disappointing to have the trip canceled; I have really been looking forward to it for a while, but on the bright side I got to do some fun birding with John, which included one life bird and several new birds for my New York State list. And, it looks like they are trying to reschedule the pelagic trip for next weekend… fingers crossed that they get enough folks and we can go.